Welcome to USA Realty's Poconos businesses for sale guide. Whether you want to purchase a Poconos business or sell your business, you've come to the right place. We have the largest database of Poconos business opportunities featuring both small and large businesses for sale. This is an ideal "run from home" business. No license required. Make travel reservations for people visiting the Poconos and for locals traveling from the Poconos. Requires only a phone, an ability to sell (travel) and minor web knowledge. Price includes 12 Poconos travel related websites and URLs that drive customers to the included 800 number(s), proprietary internet reservation technology, business relationships with 38 hotels, inns and lodges and everything needed to make money from day one. Owner retiring and moving from area. Currently operating 14 year old LOCAL Poconos Travel business. Owner retiring. Operate full time or part time from home. Top ranked by Yahoo, Google, Bing and Ask.com. A unique opportunity to own and operate a travel business / destination marketing company. $39,900 Financing may be available for a qualified buyer. This business is an opportunity for a local Poconos Hotel operator to cash in on a intuitively named web presence to generate more booking for an individual (or group of) hotel(s). Grab the websites, traffic and online visitors to guide them to your establishment. With over 20,000,000 visitors each year, the Poconos ranks among the most visited destinations in the USA. Couples Resorts, indoor and outdoor Waterparks, ski resorts, mountains, lakes, streams all draw visitors seeking hotels in the Poconos. Other Activities that draw hotel guests include; festivals, NASCAR, fishing, 21 golf courses, spas, hunting, shopping, family vacations, honeymoons, live entertainment, summer theater, family getaways, and romantic couple vacations. One of the most visited national parks the Delaware Water Gap National Recreation area is also in the Poconos Mountains. PoconosHotels.com generates revenue from commissions from hotels, resorts, inns, lodges who seek exposure to the market. Operating like a mini Hotels.com, the website helps visitors find the right place at the best price and has been doing so for 14 years. This website can be operated remotely, modified to represent just one or two hotels or resorts or expanded to more hotels, inns, waterparks and properties. Own this profitable business with 20% down. No need for bank financing. Downpayment returns in about 1 year. Poconos Real Estate Brokerage Business with respected, immediately recognizable and franchisable name. In 30 + years this brokerage has sold over 1150 homes, lots, hotels and businesses (Specializing in Lakefronts, Ski Homes, Cabins and homes sales to commuters and retirees) generating over $5,600,000 (average $183,000 per year) in commissions. Current owner works just 1/2 year, makes over $120,000 with virtually no expenses. Branded, easily expandable and comes with transferable easy to use marketing programs so you can be up, running and generating commissions immediately. Buy this business and immediately become established with a rock solid foundation. OR integrate this brokerage into your existing Poconos Real Estate business and immediately increase your commissions exponentially with little cost. Current owner retiring, but willing to stay, part time, train and help you be successful. Financing to a qualified buyer available with reasonable down payment. Sale will include over 100 Web addresses and 43 websites that generate thousands of inquires for Poconos Real Estate property that result in commissions. Existing phone lines that have been in use for 38 years. Includes the highly ranked intuitive Official Poconos Real Estate website and google and yahoo ranked individual Poconos community real estate websites. These few are all the advertising needed to generate sales and you will own them. No need to rely on costly print advertising or advertising on third party websites. YOU OWN YOUR LEAD GENERATION!!!! NO need to pay for advertising. If you are currently a real estate professional, purchasing will immediately add $120,000 - $240,000 to your yearly commissions. If you are a brokerage looking to expand into the lucrative Poconos Real Estate Market, here is the ideal opportunity. 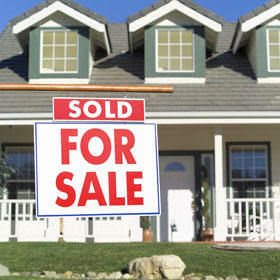 Thinking of going into real estate sales or rentals or business opportunities? This purchase will immediately make your business a success. Anyone with a background in real estate will make between $120,000 and $240,000 next year. Call today to discuss how you can purchase this ongoing, successful real estate brokerage business. Whether you're looking for a franchise, a Pocono restaurant, a car wash or a Laundromat - your search for a Poconos business for sale begins here. Hotels, Resorts, Restaurants for sale, to cleaners and automotive repair. Below you can find your next: Poconos businesses brokers Poconos Restaurant for sale, Inn for sale, or Poconos Commercial property for sale. With over 39 year of Poconos Real Estate experience, USA Realty can help guide you to the purchase of a successful Poconos Business. Our agents know the Poconos. As Poconos Business brokers, Pocono business transfer agents and Pocono Business intermediaries, we assist buyers and sellers of privately held small business in the buying and selling process. We can help estimate the value of the business; advertise your Poconos Business for sale with or without disclosing its identity; handle the initial potential buyer interviews, discussions, and negotiations with prospective buyers, facilitate the progress of the due diligence investigation and generally assist with the Poconos business sale. Agency relationships in business ownership transactions involve the representation by a business broker (on behalf of a Poconos brokerage company) of the selling principal, whether that person is a buyer or a seller. The principal broker and his agents become the agent of the principal, who is the broker's client. The other party in the transaction, who does not have an agency relationship with the broker, is the broker's customer unless represented by another broker or agent. USA Realty/ Poconos Office in East Stroudsburg, PA is the leading online Poconos Business For Sale network, connecting Poconos Business Owners and Brokers to buyers searching for established businesses, franchise opportunities, startup opportunities, business brokers and business opportunities.